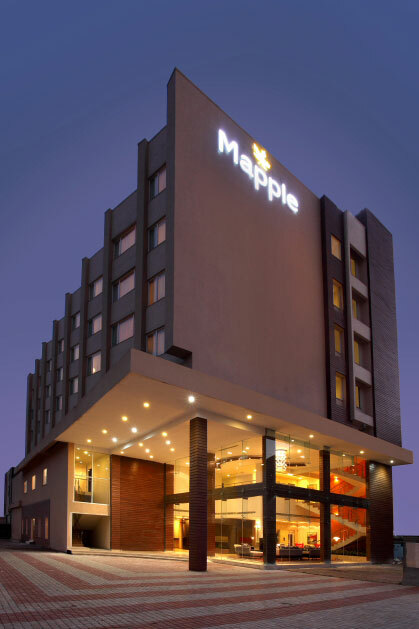 Mapple Pune is a contemporary 52 room hotel catering to the needs of the business traveler. 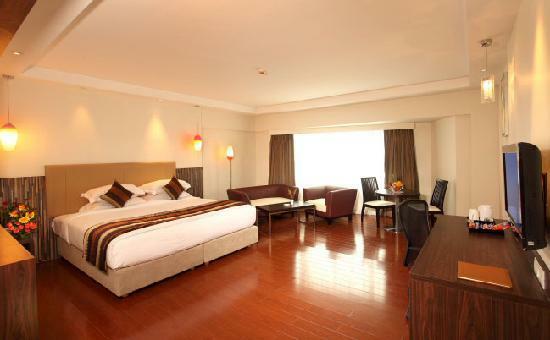 Located strategically , just 8 kms from the airport, in the heart of the business and financial district, this is the first hotel while coming from Ranjangaon and Nagar benefiting corporate guests working in MIDC area of Ranjangaon, Sanaswadi and Khardi IT Park.The hotel has multi-purpose conference halls for meetings and events. There is a well-equipped business centre, which is complete with requisite amenities for conducting seminars and conferences. For guests who wish to continue their daily workout sessions, the hotel has a state-of-the art fitness centre. 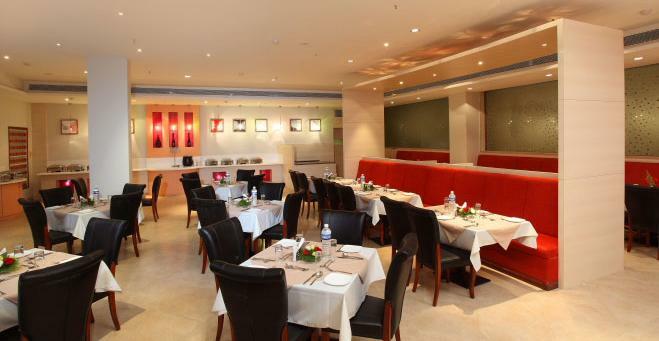 Mapple Adhwryou offers a wide range of services, including doctor-on-call, travel desk, foreign exchange and laundry, making the stay convenient for both business and leisure travellers.Elements Restaurants serves dishes from a variety of cuisines in an elegant setting. Barbeque is available at the outdoor Koyla Grill. Clink Bar offers exotic cocktails and a range of whiskeys in an inviting space.